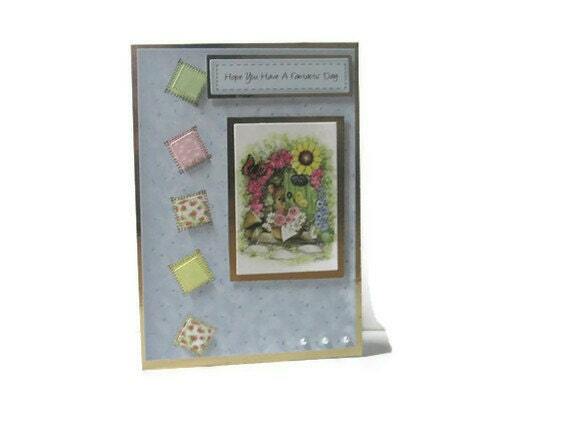 Send Birthday Greetings with this woodland mouse card. Made with a blue silk art card background mounted onto a white card base and accented with gold mirror card.The mouse topper has gold foiled highlights. The inside of the card contains a plain white insert, left blank for you to add your own personal message. The card measures 7" x 5" and comes complete with a plain white envelope. All cellophane wrapped to arrive to you in perfect condition.